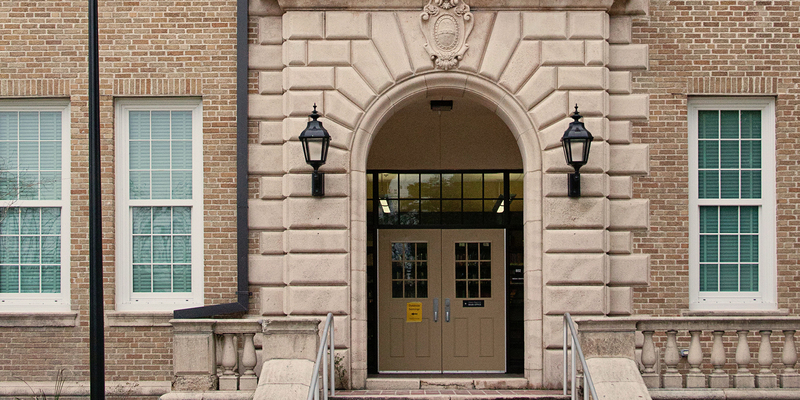 A needed campus expansion and building upgrade served as the impetus. 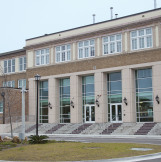 Lee High School added a new classroom building, a new cafeteria and front entrance to the existing building. In addition, fire upgrades and modernization for computers and lighting were also needed. YKK AP was able to replicate the historic look of the original windows and keep in theme with the building while also providing performance and sustainability. 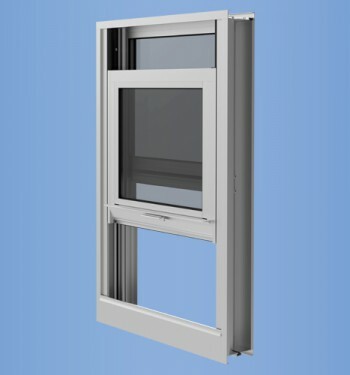 There was a significant thermal performance and improved u-factor with the new YKK AP windows. Basically the architect sat down on the table, hand sketched what he wanted and we replicated. 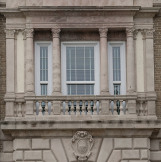 The original windows were wood, with divided lites and contoured brick and mullion molding. The new specification was for a hung window, putty bead glazing perimeter, and applied exterior grids with a muntin in the glass. Water infiltration caused much of the original wood perimeter and mullions to deteriorate and they would not support current wind loads. The original wood was demoed and concrete opening surrounds were installed. Double wood bucks were installed at the perimeter. YKK AP installed a full-length sill starter with end dams without any anchor penetrations in the water tank. The primary water seal of the new system was at the waterproofing that was installed on the wood bucks and the primary window frames and sill starter. YKK AP provided 5 inch wide aluminum mullions that simulated the depth of the original wood mullions, wide interior mullion covers and extended interior trim blended in with new interior finishes. The perimeter brick moldings were replicated with a post set panning around the perimeter of each single hung window and was fabricated in Mac’s Glass’s shop and installed as one piece in the opening. The post set panning was then sealed to provide a secondary water barrier. The primary window was YKK AP single hung, YVS 410 TU, H – AW 65, with applied grid and muntins in the glass. Laminated glass was used on the first floor windows for security, which does not allow smash and grab or vandalism if the glass on the first floor is broken. The design concept was refined during the construction process. Historic review was critical to simulate the original school design. 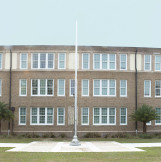 There was a second system that consisted of fixed and projected windows in the courtyard of the school. Water filtration was an issue too, as mentioned above.